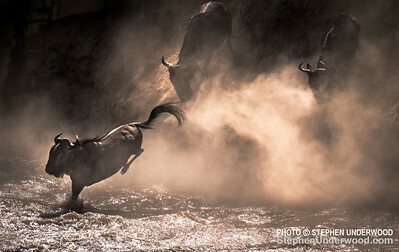 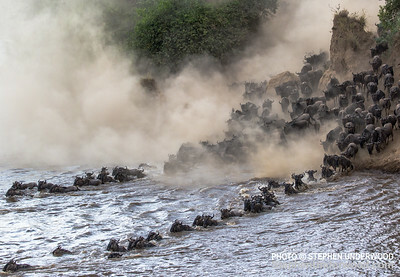 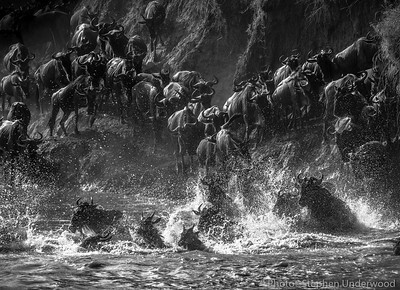 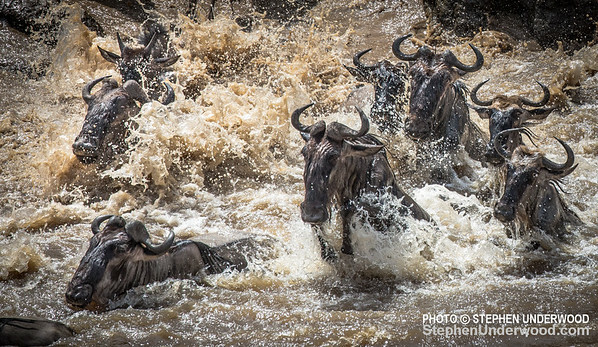 In a dramatic spectacle, huge herds of migrating wildebeest face a perilous crossing of the Mara River in Kenya's Masai Mara. 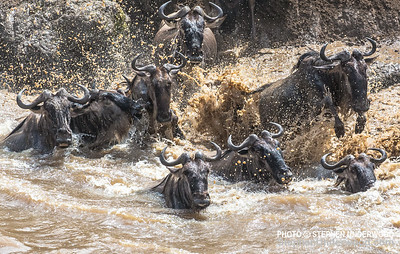 The endless migration of wildebeest through the East African grasslands of the Serengeti in Tanzania and the Masai Mara in Kenya is one of the world's great wildlife spectacles. 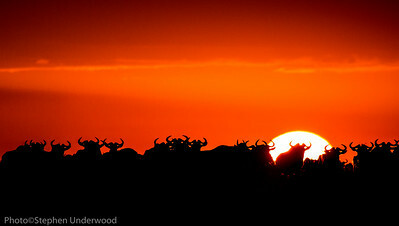 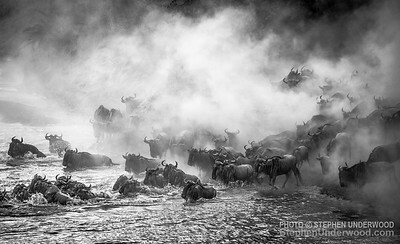 After birthing in the southern-most savannahs of their range, the vast herds of wildebeest then begin their long and arduous trek west and north across the Serengeti. 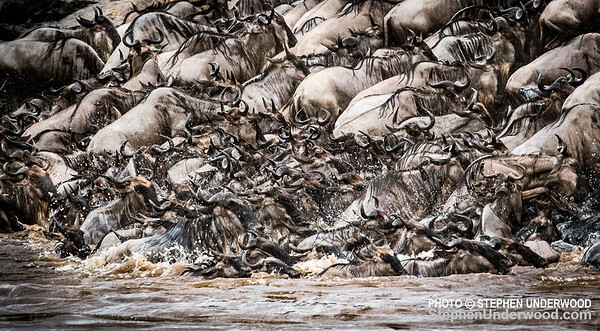 Accompanied by zebra and other grazers, herds numbering more than 1.5 million reach the rain-refreshed grasses of the Masai Mara in the late summer months. 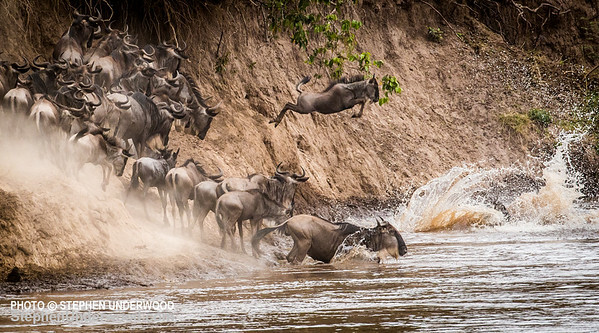 Here, they must cross the perilous waters of the Mara River, facing challenges of steep or rocky banks, enormous crocodiles, and fast-flowing currents that sweep away the weak and injured. 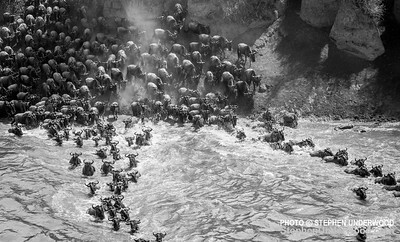 The herds throng close to the river until the bravest take the plunge. 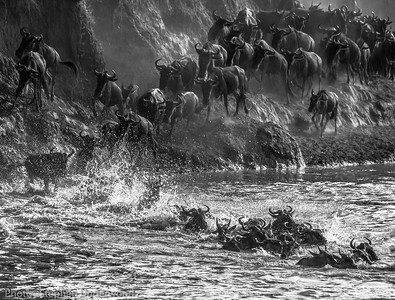 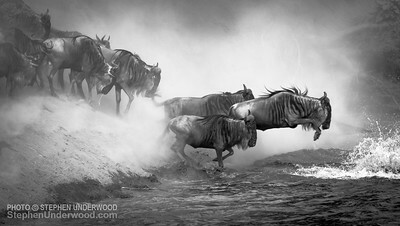 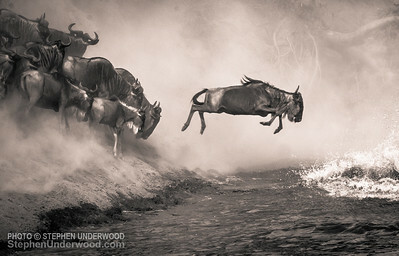 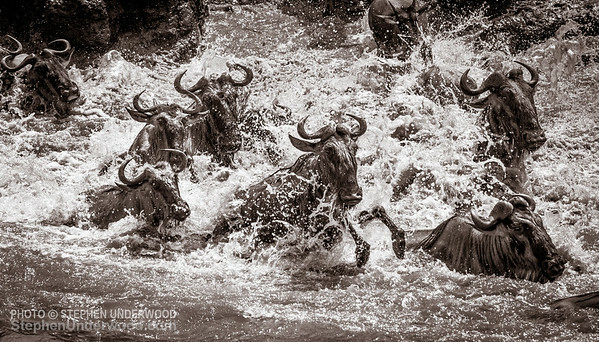 Herd instinct then kicks in as thousands follow in a noisy frenzy down dusty banks and into the swirling currents. 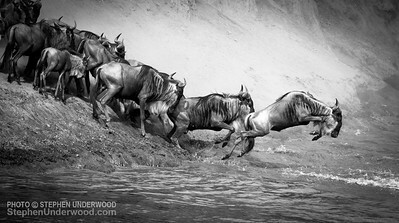 With the added perils of eager predators - lions, leopards and hyenas - many wildebeest do not survive to return to the southern Serengeti.